Current oil prices make Arctic shelf drilling unprofitable, yet exploration, prospecting and the creation of infrastructure for oil extraction in the Arctic should continue, President of the Union of Oil and Gas Producers of Russia Gennady Shmal said on Tuesday. "We should not be particularly enthusiastic about the shelf… If we speak about today or even tomorrow, all Arctic projects are very expensive so far. Even at the current oil prices of more than $70 per barrel, which are far from low, no Arctic project, and here we must distinguish between the Arctic and the shelf as these are different things, no Arctic shelf project will be profitable today even at the current relatively high prices," Shmal said at Tatarstan Oil, Gas and Petrochemical Forum. 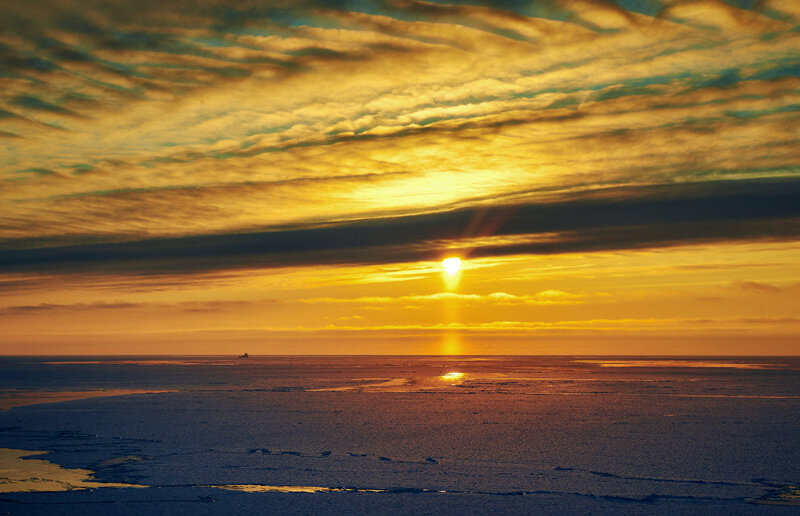 Development of the Arctic shelf will open a new chapter in the country's economy and science as this will involve innovative process, new technology and a boost in related sectors, Shmal said. He added that Russian shipbuilding companies will build new ice-resistant drilling platforms and autonomous underwater oil and gas rigs. "We should concern ourselves with the shelf in terms of exploration, prospecting, creating infrastructure and bases, developing the Northern Sea Route, and a whole number of other things," the head of the Union of Oil and Gas Producers of Russia said.